If you’re looking to update your eyewear wardrobe with fresh new specs, we have some styles that are sure to fit the bill. These frames offer a variety of designs that work well with your look, whether you’re minimalistic or more fashion forward. 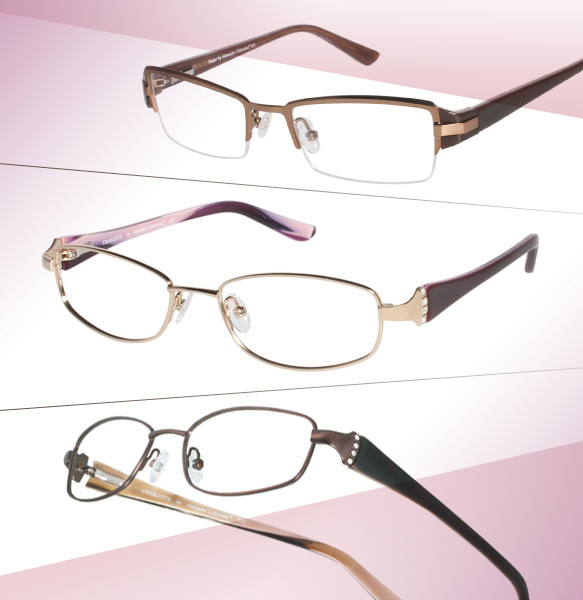 Ladies, you’ll feel beautiful and confident in the latest Alexander Collection specs – Charlotte and Harper. Charlotte is all about classic elegance with a dropped oval shape and rich hues. 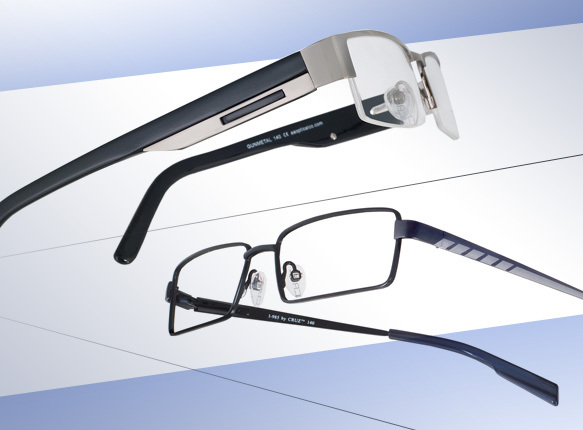 Clean lines are complemented by tastefully placed Swarovski crystals for a well-balanced look. Harper is a semi-rimless frame with a bold metal brow. The mix of polished acetate and matte metal adds the perfect finishing touch. For the fellas, Cruz has unveiled two distinguished frames named I-985 and Bourbon St. With its smooth metal rectangular shape and diamond patterned temples, the I-985 is a great option for guys looking to pump up their style. On the other hand, Bourbon St is a handsome semi-rimless frame that combines sleek acetate and a metal inset to create an abstract layered effect. You can’t go wrong with either choice!